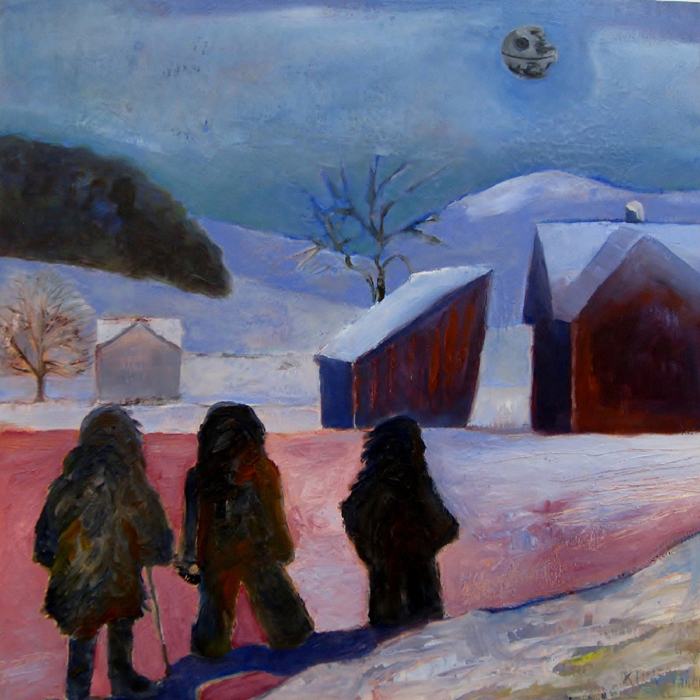 SPACE Gallery and the Vermont Art Guide are pleased to announce the exhibition “Art of Winter”, a survey of art by Vermont artists on the theme of winter. The exhibition is curated by SPACE Gallery director Christy Mitchell and Ric Kasini Kadour, editor and publisher of the Vermont Art Guide. 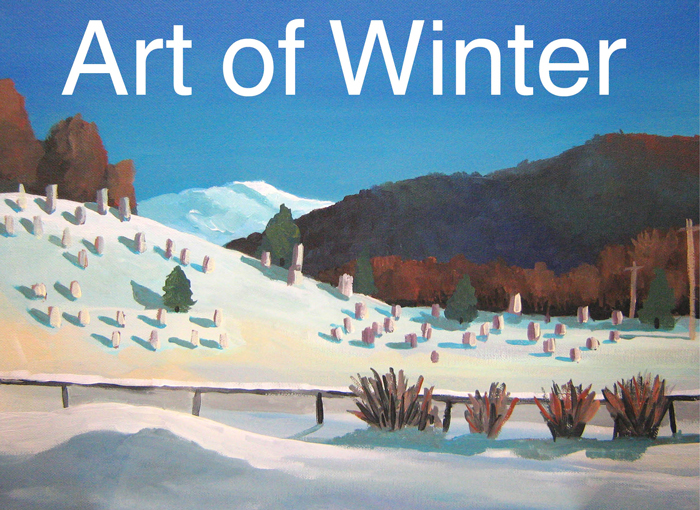 “Art of Winter” exists in two forms: A physical exhibition of artwork by 26 artists will be on display at SPACE Gallery (266 Pine Street, in the Soda Plant) from February 3rd to 28th. SPACE Gallery is open Thursday to Saturday, Noon to 5PM. 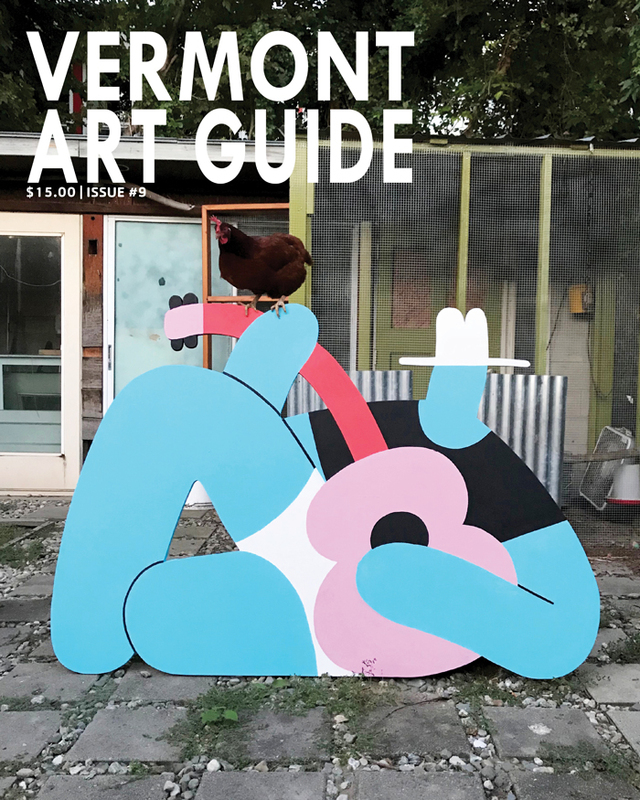 An exhibition-in-print with artwork by 19 artists is included in Vermont Art Guide #3. 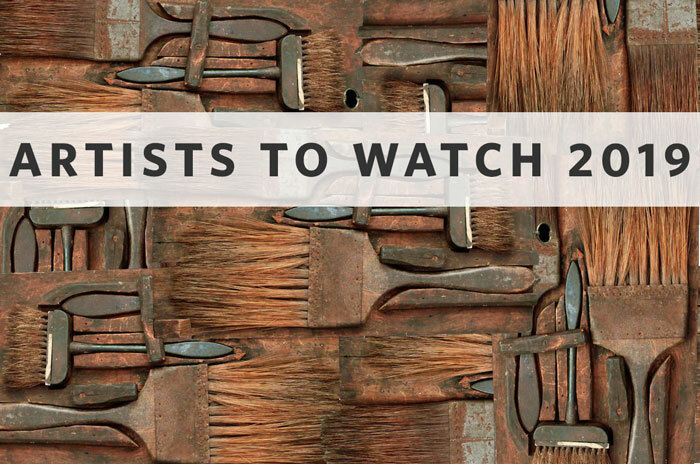 Artists include: Alex Costantino, Ashley Roark, Christy Mitchell, Stella Ehrich, Doris Bergeron, Frankie D. (DeAngelis), Tomomi Ueda, Sherri Rigby, Elaine Ittleman, Carol Crosby, Linda Di Sante, Kate Longmaid, Karyn Neubauer, Shona Sladyk, Jan Fowler, Julie Davis, Lorraine C Manley, Nitya Brighenti, June Campbell, Sharon Webster, Erika Lawlor Schmidt, Linda Van Cooper, Martha Hull, Robert Waldo Brunelle, Jr., Samantha M. Eckert, and Shalvah Herzberg. An Opening Reception during Burlington’s First Friday Art event will take place on Friday, February 3rd from 5 to 9PM at SPACE Gallery. This event is also the issue launch for Vermont Art Guide #3. Participating artists and copies of the magazine will be available. The snowflake photographer Wilson Bentley (1865-1931) wrote,”The farm folks, up in this north country, dread the winter; but I was supremely happy, from the day of the first snowfall-which usually came in November-until the last one, which sometimes came as late as May.” At some point in the 20th century, winter in Vermont stopped being a thing of dread, when one dug in and hoped food supplies would last, the well wouldn’t freeze, and nature would be merciful. It was probably sometime in the 1930’s, when Dartmouth ski coach Wallace “Bunny” Bertram tied a tow rope to a Model-T Ford engine and started pulling skiers up a hill on Gilbert’s Farm in Woodstock. 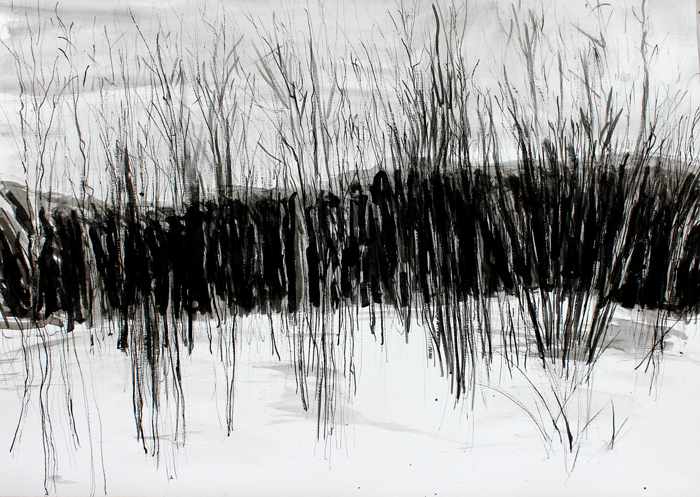 Winter started being a time of wonder, pleasure, and frolic. S.P.A.C.E. stands for Supportive Places for Artists and the Creative Economy. Formerly the Soda Plant Artist Collective Environment, S.P.A.C.E. has a mission to create an accessible venue for showing, viewing, and making artwork by the public in Vermont and beyond. By combining creative endeavors with industrial reuse, S.P.A.C.E. contributes to the economic revitalization of the industrial South End of Burlington – and beyond! 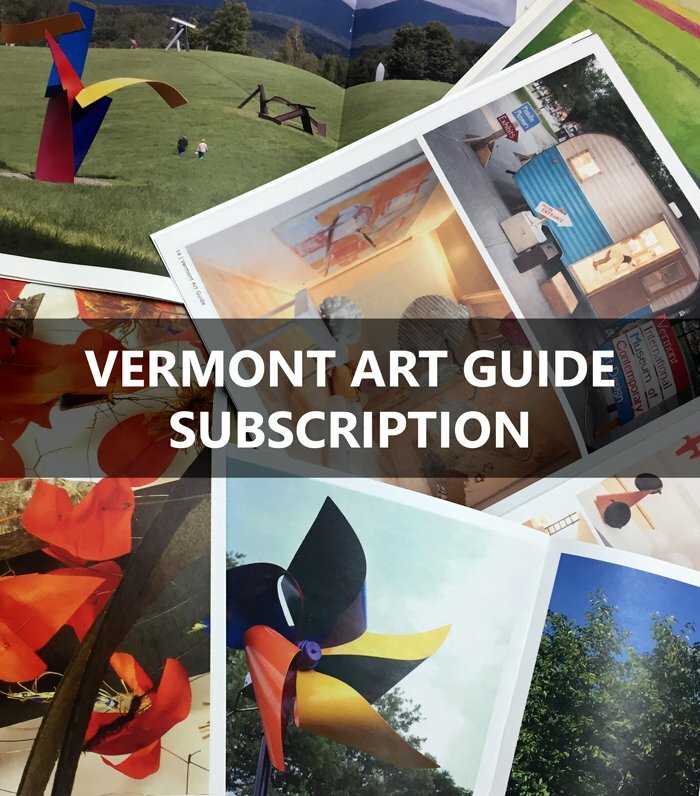 Vermont Art Guide is a quarterly, printed magazine about contemporary art in Vermont. 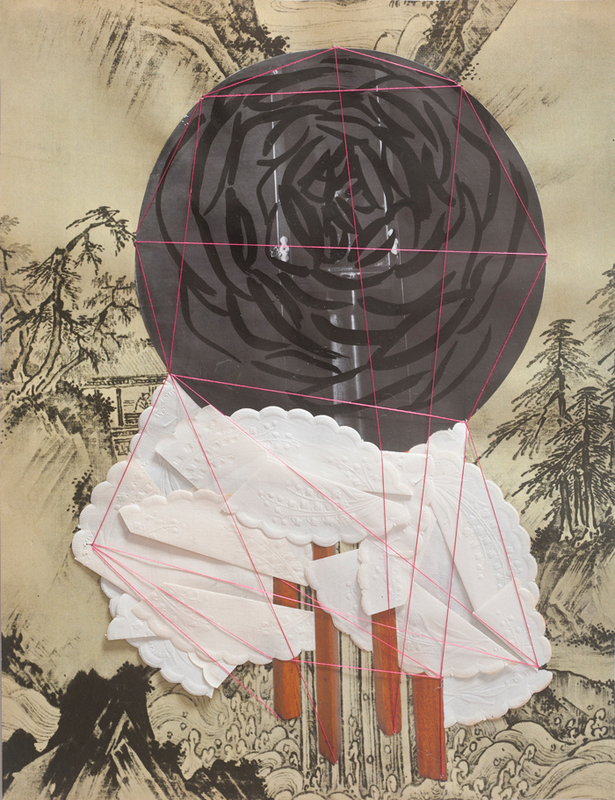 We offer a curated list of places to see art and publish profiles on artists, art venues, and public art. Each issue is a celebration of the state’s great art scene. Vermont Art Guide is a project of Kasini House. Jericho Cemetery by Robert Waldo Brunelle, Jr.